Diary of A.J. 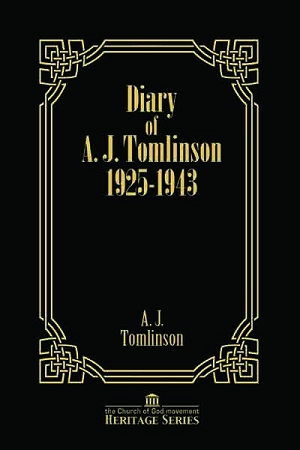 Tomlinson 1925-1943 is the 6th book in the Heritage Series. It is taken directly from Tomlinson's handwritten diary. It gives great insight into the beginnings of the Church of God and, eventually, the Church of God of Prophecy, from the man who was at the forefront of the movement.